If you assume turbulence free and (near) steady state operation there are methods by which I expect simulation can be greatly accelerated, such as counting a particle's past as representing part of the present plasma. But that's an assumption that rules out a lot of situations. I presume this works for a polywell, but I don't have a proper justification. Modifying considerations: Due to the cusps, upscattered electrons and especially ions (escape electrostatic containment) leave the system faster due to their increased speed (expected number of passes before escape occurs faster). This, I think decreases the high thermal tail distribution of both ions and electrons. Annealing of ions at the edge may be a major factor in delaying ion thermalization. As the ions stop and turn around at the top of their potential well near the edge of the Wiffleball, the local Coulomb cross section soars and local ion thermalization is ineviitable on one pass. This resets the ion energy distribution that is thermal, but at a low temperature. The distribution is essentially monoenergetic relative to the temperature of the ions deeper in the machine. Certain considerations about MFP in various radii within the machine need to be considered, for annealing to be relavent. There needs to be at least some degree of central confluence/ focus of the ions for edge annealing to be significant. Note that considering the plasma as a homogenous mixture without central ion confluence is possible for profitable D-D fusion but not for advanced fuels, according to Nebel. EMC2 recently did computer modeling (for start up conditions?). They used some modified astronomical plasma modeling software. Of course, but you must always consider different time scales for your simulations. There is not enough computational power to do the whole range of time scales and length scales at the same time..
asdfuogh wrote: There is not enough computational power to do the whole range of time scales and length scales at the same time..
On the question of whether a barnes-hut tree code or a fast multipole method is a "collisionless" simulation - these two algorithms aren't simulations, they are procedures for determining what calculations to do and what ones to not do to maximize the computational efficiency of a simulation for a given desired level of accuracy. The actual calculations that you do with any given pair of particles is entirely up to you. If you want to code collisions, you can code collisions. It won't effect the algorithm at all. Think of the algorithm as an operating system for a computer. you can have your individual programs (particle interactions) do whatever you want. All the operating system does is figure out when to schedule each given task. So yes, it can do collisions (by which i presume you mean fusions, fissions, decays, absorptions, ionizations, etc.). in the same way that you can have a web browser on a windows machine (or linux, or mac...). Though i'd warn that even with highly scalable algorithms like a tree code or a multipole method, you're still far short of a Mole of particles operating near the speed of light with high spatio-temporal precision. You're going to have to make sacrifices with your time scale and your particle count in order to get it in a useful range. And you're somehow going to have to translate those sacrifices into all parts of the calculation in a way that won't have unrealistic side-effects - and if you're doing collisions, it includes that. You'd probably be doing some kind of probability-function based on distance and time and speed and barns, and what not. it probably wouldn't be that difficutl, actually. But i wouldn't focus on it first, i'd focus on a pre-nuclear plasma, just getting the basic lorentz force fully tested and operational, and then work my way to ionization and/or fusion/fission. but yeah, short answer is: it does whatever you want. 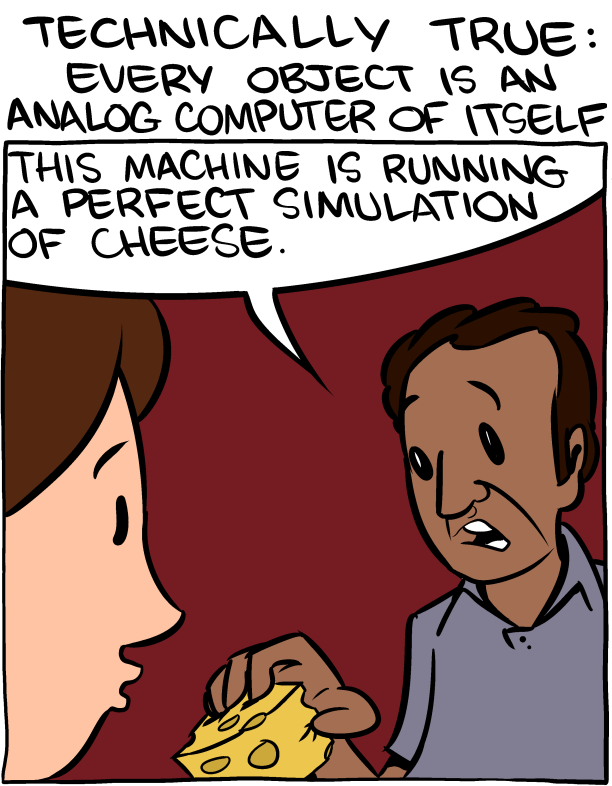 it's just a "framework" for doing lagrangian simulations efficiently.